Leading Exporter of crane cable carriers, round section pipe bar cable carriers, cable carriers, cable trolleys, electrical crane cable carriers and multiple cable carriers from Vadodara. 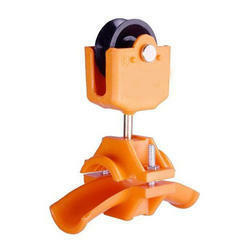 We offer a wide variety of optimum quality Industrial Crane Cable Carriers to our valuable customers. Manufactured in compliance with the international quality standards, these products find wide application in different industries such as fertilizers, pulp & paper mills and bearing manufacturing. The offered products are highly demanded in the market for optimum performance, low maintenance and easy installation. Our Round Section Pipe Bar Cable Carriers is a development out of many years of experience with free carrying cable carriers. 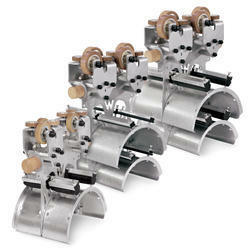 It comprises all advantages of plastic cable carriers which are combined in one chain. The PKK can be changed into all existing variations without any tools. PKK is also very recommendable as it can be delivered from stock all over the world. These cable carrier are widely used in robots, handling, tool machines, textile machinery and many more. Following are some specifications of our product. We are one of the leading manufacturers and suppliers of a wide range of high quality Cable Carriers. Manufactured in compliance with the industry laid standards, the offered carriers are known for reducing the stress of various cables that are connected with automated machinery. To ensure a defect free range, these carriers undergo various quality assurance procedures by our quality controllers. We are the supplier and exporter of wide range of Cable Trolleys. 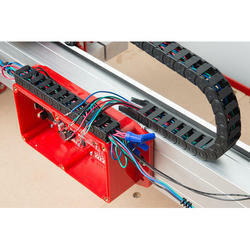 To ensure a flawless range, the offered conveyors are rigorously tested by our team of quality controllers. These are find wide applications in operations that involve the transportation of bulky material. These products are manufactured by high quality material. 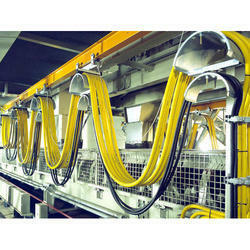 Our organization specializes in offering optimum quality Electrical Crane Cable Carriers to our valuable customers. Available with us at a highly reasonable market price, the offered products are widely used for connecting various cables to different automated machinery. Driven by an intense desire to attain maximum customer satisfaction, our logistic professionals assure prompt delivery of the offered products. We are one of the prominent manufacturer and supplier of wide range of Multiple Cable Carriers, we provide quality products to our valuable clients as per industry standard to meet the their demands. These components are highly demanded in the market for their long functional life and easy maintenance. 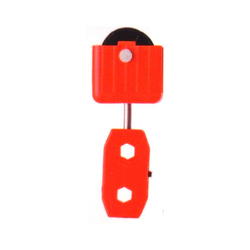 We are one of among the leading companies in offering a wide range of Plastic Cable Carriers, our products are tested and as per quality parameters, we are engaged in providing quality product to our valuable clients. To ensure a defect free range, these carriers undergo various quality assurance procedures by our quality controllers. 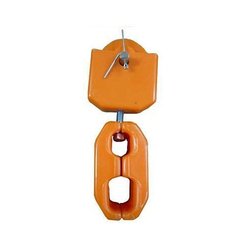 We are a leading manufacturer and supplier in this industry in offering wide range of Wire Rope Cable Carrier we are engaged in providing quality products as per industry standard to our valuable clients. Available with us at a highly reasonable market price, the offered products are widely used for connecting various cables to different automated machinery. All Metal Section Festooning Cable and Hose trolleys for heavy duty application. To run very smoothly in dusty and rusty area, high gripping clamping units to fit cables and hoses as per the sizes with the separators. The construction of such product are as such as per the load and uneven metal shapes. We are offering our valued clients with the best Cable Carriers Trolley at an economical price. Cable Carrier used in cable management in moving machinery. Offered trolleys are precision engineered at our end by employing advanced and sophisticated technology. Available in various specification, reasonable price etc. Widely used in the following purposes like in material handling, power transmission, packing, textile, laser cutting, CNC, ceramic, cement and hydro pneumatic machines. We are the supplier and exporter of wide range of Cable Carrier Trolley. Precisely engineered in compliance with the industry set standards, the offered conveyors are widely used to convey different industrial products from a higher level to floor application. Our products are highly appreciated by the client because these products are fabricated by the high-quality material. Owing to the vast industrial experience in this domain, we have been able to offer a wide range of high quality Crane Hoist Cable Trolleys to our prestigious customers. The offered products are widely used in different industrial applications for the purpose of transporting various types and sizes of cables and hoses of Various applications - Coal yards, Fertilizer plants, Bunkers, Wagon tippler, etc. With our vast and well connected distribution network, we deliver these products within a fixed time frame at the customer’s end.